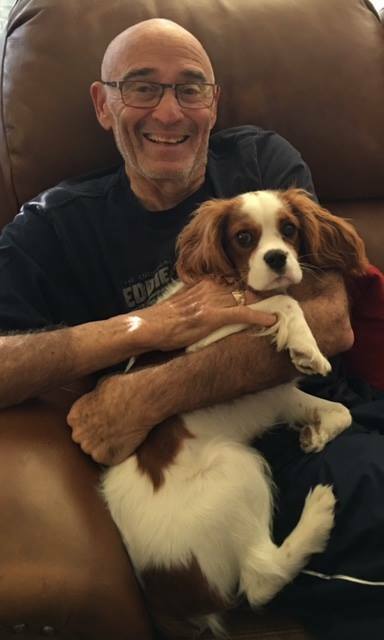 through 45 years of baseball coverage was largely unintentional, a door suddenly opened by a journalism and creative writing instructor named John Gartner at Wilson High School in Long Beach, Ca. 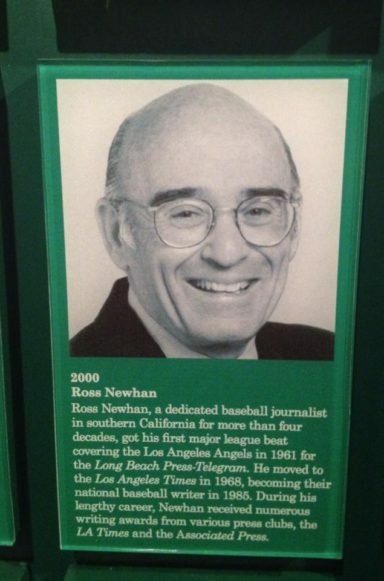 Didn't know what was happening or where I was headed at the time but what ensued was seven years of covering the expansion Angels for the Long Beach Independent, Press-Telegram and 38 years of covering the Angels, Dodgers and baseball industry as beat reporter and National Baseball Columnist at the Los Angeles Times. Thank you John Gartner and so many others, including of course Connie Newhan for being mom, dad, chauffer, accountant and all else, including director of library services for an Orange County school district, as I bopped around the country. 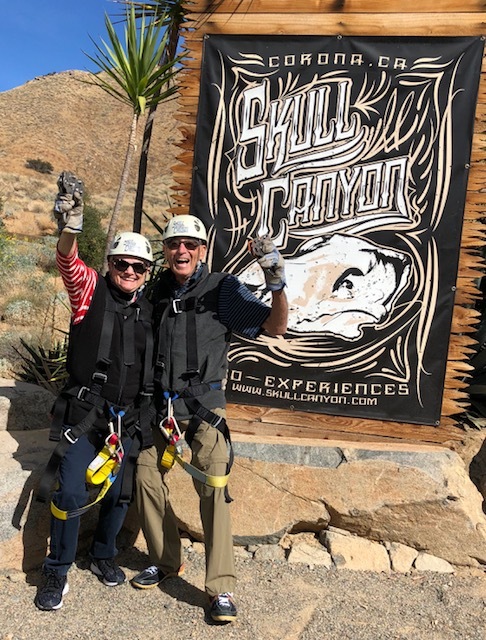 We have been married for 50 years and celebrated that Golden Anniversary by ziplining down Skull Canyon while avoiding becoming one of the skulls. We have two wonderful children and five sensational grandchildren. Daughter Sara is a special education teacher who has taught me much about the wisdom of an open heart and the value of friendships. Son David, undrafted out of high school or even as a college junior, would go on to play parts of eight seasons in the major leagues, providing lessons in perseverance and faith. I am proud to say that in 2001 my colleagues in the Baseball Writers Assn. of America voted me the J.G. Taylor Spink Award and inclusion in the media wing of the baseball Hall of Fame in Cooperstown, New York. Among other honors I have been encouraged to mention: twice winner of the Associated Press' News Story of the Year, the Los Angeles Times Editorial Award for Sustained Excellence, and the California Sportswriter of the Year Award as chosen by contemporaries. Enough? Enough! Play Ball!